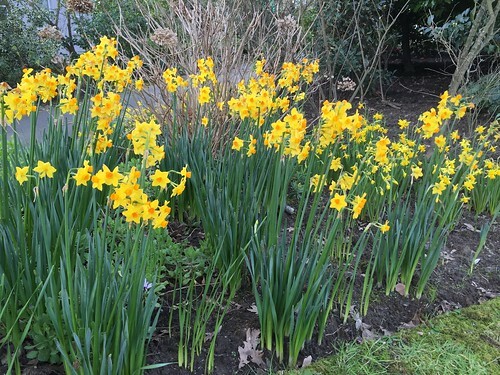 Last week we went to visit one of the local gardens and evidence of Spring is starting to pop up. We haven’t really had a very cold winter, although the weather report says that this weekend might be chilly. I love the flowers of Spring. So bright and cheerful and vibrant. Just the thing to cheer me up on a grey, damp day. Roll on Spring. I need to get out in the garden and start tidying up! 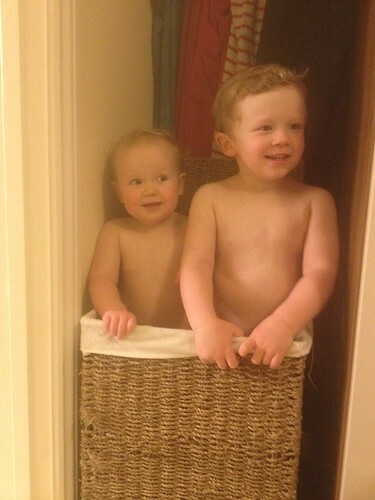 Would you like children in a basket? It’s an excellent way of containing them when they are getting in the way when changing the beds! We’ve had a lovely weekend and I don’t really fancy heading back to work tomorrow. Oh well. Needs must. 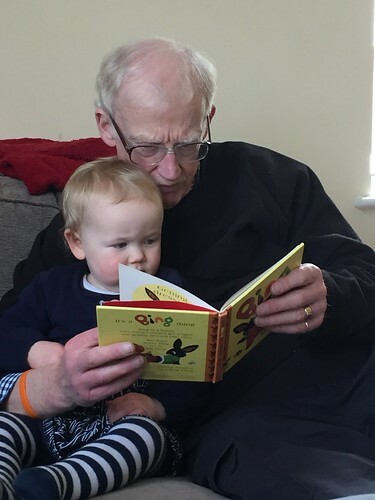 It’s always good to have a Grandad around. He can follow her around, listen to her babbling about not much and he has time to sit and read favourite books at least 20 times a day. We have had a fab week with Grandma and Grandad over and they have helped us out with childcare which has been fantastic. The children have certainly enjoyed having them around for a few days. 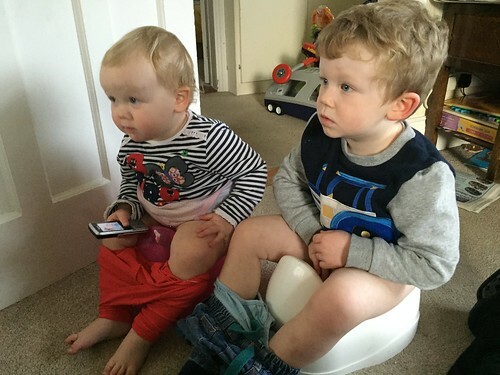 I am wondering whether The Little Miss is going to be easier to potty train than The Little Mister has been. It certainly is a case of anything my big brother can do then I can do too! I feel absolutely cream crackered at the moment. I think The Mister and I are just finding life very busy and tiring. I am sure things will improve. Sometime. 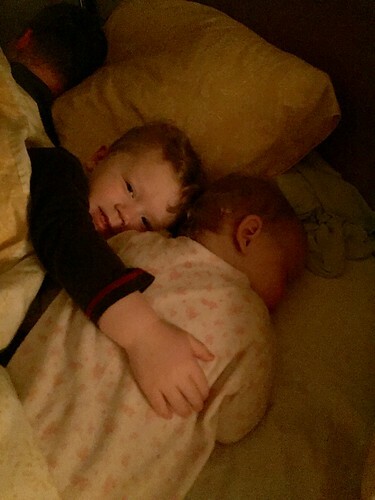 I have to admit that waking up and finding the children snuggled up between us makes it all worthwhile. Love my gorgeous little family. The Little Miss has really started to love Special Rabbit. He is much cuddled, especially at bedtime and was starting to get a bit stinky. 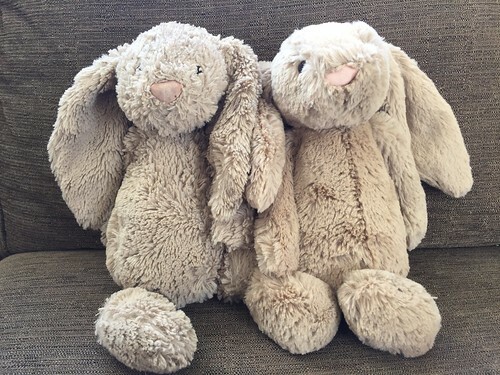 We decided that we needed to go and buy a Stunt Double Special Rabbit so that the other one could be washed. Let’s hope that The Little Miss doesn’t notice! 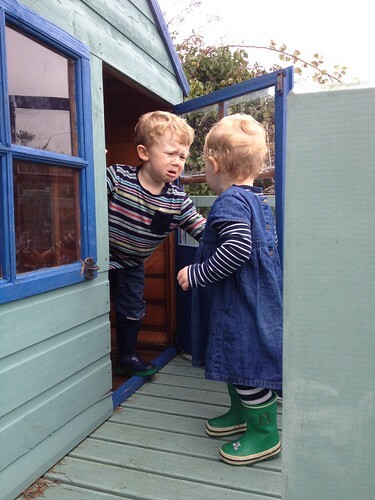 It would seem that The Little Mister is not too keen on sharing his playhouse. He’s going to have to get used to it pretty quickly as The Little Miss absolutely loves it! 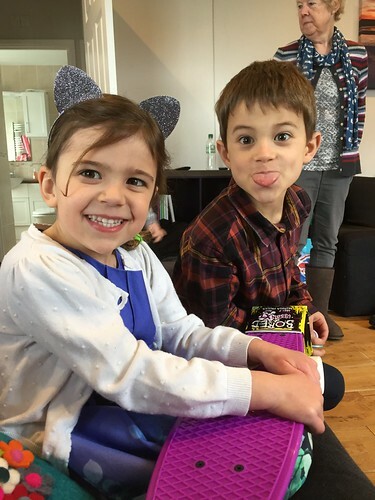 I sometimes wonder whether our children have too much screen time, whether it be the TV, iPad, computer or my phone. The Little Mister in particular is obsessed with all things technological and he is disturbingly competent at operating them independently! 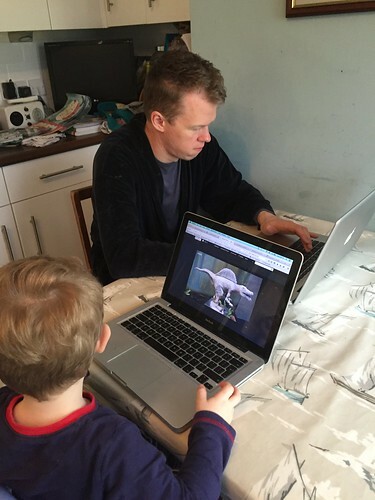 The CBeebies website has some really good games and puzzles and The Little Mister is just starting to understand and use them. I find it endlessly fascinating to see his competence in using a trackpad. I am quite sure that whatever his future holds that technology will be part of it. 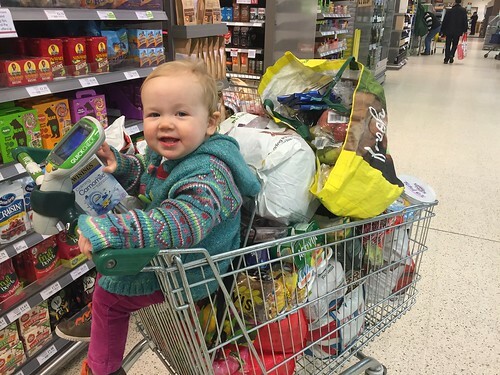 One of our biggest expenses apart from our mortgage and a few other bills is food. It seems to cost us an absolute fortune even when we budget hard. I guess it is partly because we rarely eat out and we take packed lunches etc. This week was even worse though. It was pay day which means a bigger than usual shop and =he inlaws are arriving on Monday so that’s two more people to feed in the evenings. I dream of having a Lidl, Aldi, an Asda or a Tescos. Instead we have Waitrose. This was a nearly £200 shop. Ouch.